Your guide to cross-cultural understanding! Founded in 2005, GOLDEN BRIDGE International Education Center is an educational organization based in Tbilisi, Georgia. GOLDEN BRIDGE Center is an expert in international exchange industry, educational and work experience programs. The mission of the Center is to bring people of diverse cultures together so those who participate gain a greater knowledge and understanding of one another. GOLDEN BRIDGE has been widely recognized as one of the most reputable organizations in Georgia offering various Exchange programs, Education assistance for studying abroad, as well as Cambridge ESOL Exam Preparation and English Language Training and Assessment services, Independent Visa consulting service, Professional Trainings at our Study Center. Based in Tbilisi, with years of recognition and achievements, GOLDEN BRIDGE has helped hundreds of students to apply for study-abroad programs in the UK, USA, Canada, and EU countries! GOLDEN BRIDGE believes that the best way to learn about the cultures, languages, and customs of other countries is through various international educational and exchange programs. Here at GOLDEN BRIDGE, we love what we do and get great satisfaction in going that extra mile. We believe that our international programs should promote a culturally diverse environment that is friendly and educational. At GOLDEN BRIDGE we do our utmost to meet and surpass your expectations. Above all, we believe in YOU. Dreaming about studying or working abroad? Then do not miss your chance to fulfill your dream! *THE BRITISH COUNCIL. The British Council is the UK’s international organisation for educational opportunities and cultural relations. 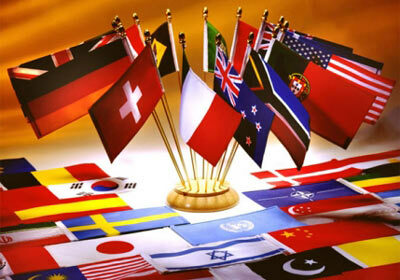 Their purpose is to build mutually beneficial relationships between people in the UK and other countries. Their work and projects connect people worldwide through learning opportunities to builds lasting relationships. *EDUCATION UK. The official British Council Resource for international students looking for courses or for studying in Britain. Education UK Certificate for Education Advisors is a training programme developed by the British Council to provide a broad knowledge of the UK education system and studying and living in the UK.This is a qualification designed for qualified education Advisors/Agents to increase their capacity to promote the UK as a study destination. The course develops Education Advisor’s ability to provide high quality information (including UK visa application procedures and entry requirements; visa and immigration regulations), resources and services to students seeking an international education. As such, obtaining this British Council qualification represents a valued and recognised professional achievement and is considered highly reputable for the study-abroad agency and the students alike. GOLDEN BRIDGE has been awarded two certificates for two of its employees, who have completed the certification process with distinction. *ENGLISH UK. GOLDEN BRIDGE is proud to be accredited as an official EnglishUK Partner Agency. This Membership is exclusive to successful and high quality agencies and is an extra mark of quality. EnglishUK is the world's leading language teaching association - with all members accredited by the British Council - including private language schools, universities and other educational entities. To join the English UK Partner Agency accreditation an agency must demonstrate that they have developed successful and productive partnerships with a number of member centres in the UKand are engaged with the work of EnglishUK. GOLDEN BRIDGE is proud to adhere to the principles of the EnglishUK Agency Code of Conduct. *GEORGIAN ASSOCIATION OF PRIVATE EMPLOYMENT AGENCIES. GOLDEN BRIDGE Center is a Co-Founder and Member of Georgian Association of Private Employment Agencies. The Association is independent of the public authorities and provides the following labour market functions: (a) services for matching offers of and applications for employment; (b) services for employing workers with a view to making them available to a third party; and/or (c) other services relating to jobseeking, such as the provision of information, that do not aim to match specific employment offers and applications. The Association is recognised by international organisations such as International Labour Organisation and International Organisation for Migration, and represents the full spectrum of HR services: temporary agency work, recruitment, interim management, executive search, outplacement, training, etc. *ICEF. GOLDEN BRIDGE Center has been recognized by the world leader in event organisation for international education professionals. ICEF connects educators and student recruitment agents to key markets and networks worldwide, helping them achieve the results and efficiencies they require in growing international student enrolments. ICEF has built a reputation for quality through ICEF Workshops, the industry’s premier educator/agent networking events; ICEF Online, the collaborative Internet platform linking educators and agents; ICEF Higher Education, specialised consulting and recruitment solutions for universities and colleges; and ICEF Training, professional development for the international education sector. GOLDEN BRIDGE' Director Mr. Valerian Markarov has successfully completed the ICEF Agent Training Course Formal Test and is an ICEF Trained Education Counsellor. *ALPHE. The meeting place for the world's national agent and school associations. The Alphe Conference involves face-to-face meetings of an half an hour each between agents (who recruit and advise students) and educators (who want international students to attend their institution). *STUDY WORLD. StudyWorld London is a leading international student recruitment event, connecting quality-assured professionals from different parts of the study travel industry. It brings together education providers, study abroad agents and industry-related service providers from over 60 countries. It is a focused forum where you can schedule one-to-one meetings with the best the industry has to offer. Established over 40 years ago, StudyWorld is the UK's largest and longest running event of its kind. It has a reputation that is unmatched in the worldwide study-abroad market. *BMI. BMI, which celebrates its 25th anniversary in 2011, organizes the leading international education fairs in Latin America and have been involved in organizing events in Asia, Europe, North America and Australia. In addition, BMI organize specialized agent workshops in Brazil, Colombiaand Canadaand is joint organizer of The Global Education Agent Workshop which will take place in Istanbul in October 2011. In 2010, 160,000 visitors, 675 international exhibitors from 21 countries and over 400 educational agencies participated in a BMI event. *SCHOOLS & AGENTS. Schools & Agents is a resource for the language travel industry. S&A has a unique dual purpose of providing industry related and up-to-date news, as well as a platform for language schools to connect with agencies from all over the world. Member schools can publish their own articles, upload school films, promote their destination through a travel guide, announce special offers and much more. Site features also include current news articles, an event calendar, school and agent directories and a resource section.